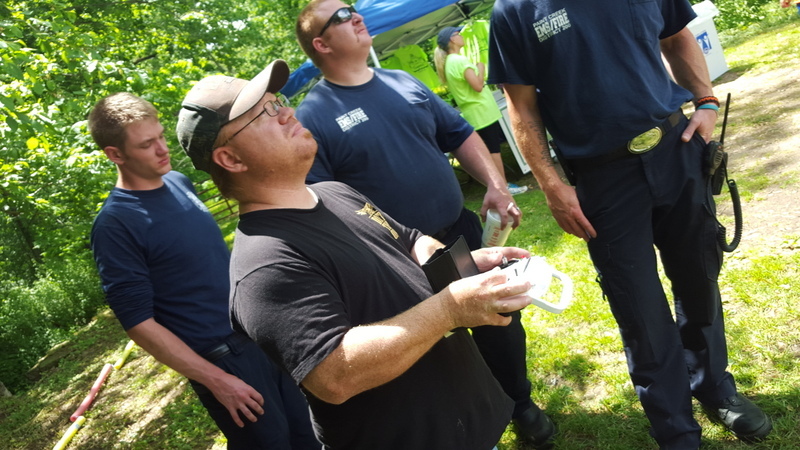 The Unmanned Aircraft Systems (UAS) branch of Dayton’s Sinclair Community College had a demonstration and information booth set up at the recent Paddle on Paint Creekfest. UAS or drones are today’s big thing, an emerging technology that appears to have a bright future. It was hoped that Sinclair’s people would be able to launch a drone and take aerial photos of the event but that was not to be. The type of drone they fly has, until very recently, been restricted to but a few air spaces. As luck would have it those restrictions were lifted just a couple of days ago but their drones were had been returned to the manufacturer for required safety inspection. To the rescue came Brian Carle with his shiny white quad-copter armed with a digital camera. 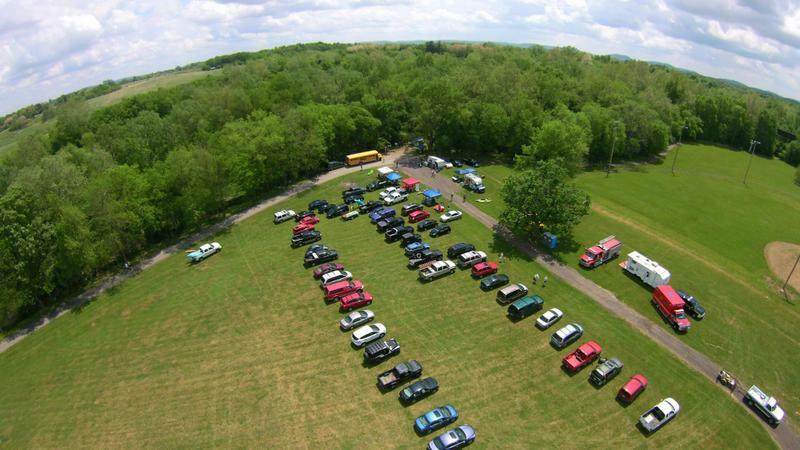 Brian’s drone could be seen photographing the area and hopefully he will make available some video clips of what was happening along Paint Creek. Ann Byars is who brought Sinclair’s efforts to our attention and this morning she sent me a link to an article focused on the future of drones and their potential applications, especially in agriculture. Both she and I are excited about the career potential to be found in this technology. And given Sinclair’s close proximity to Greenfield this is an area of study Greenfield students should be made aware of. Aerial view of Paddle on Paint . Brian Carle at the controls.